Now as a disclaimer, I am not a Vegan, however I do have to eat dairy free, so by default when eating out I often choose the "safe" Vegan option. Since going dairy free, there has been a PIZZA shaped hole in my life, that has up till now been impossible to fill, often Vegan pizza, is either cheeseless or has a sparse topping of frankly inedible "fake" cheese. So when I heard about Purezza, a completely vegan restaurant serving pizza with their own vegan cheese, I was sold on the idea. 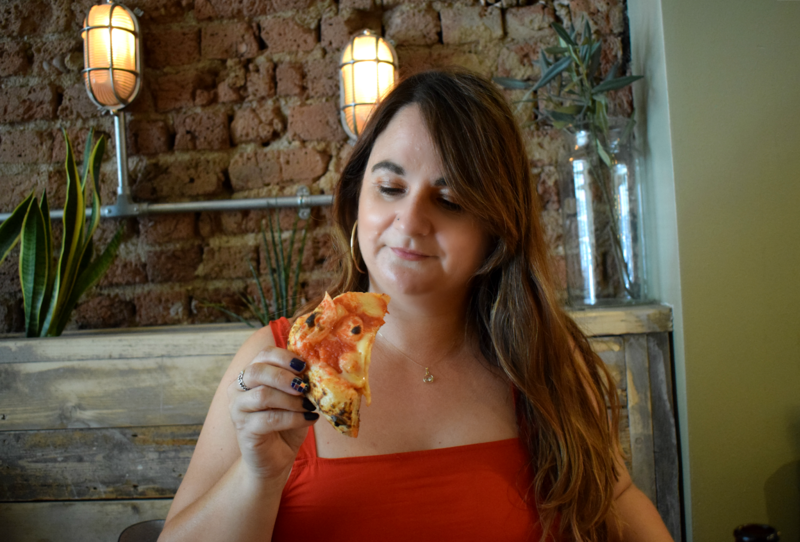 Purezza has branches in Brighton and Camden, and although we live in Norfolk we often visit London for the day, and recently discovered the laid back vibes of Camden, so couldn't wait to visit again, and to of course pop in Purezza to try their legendary Pizza. 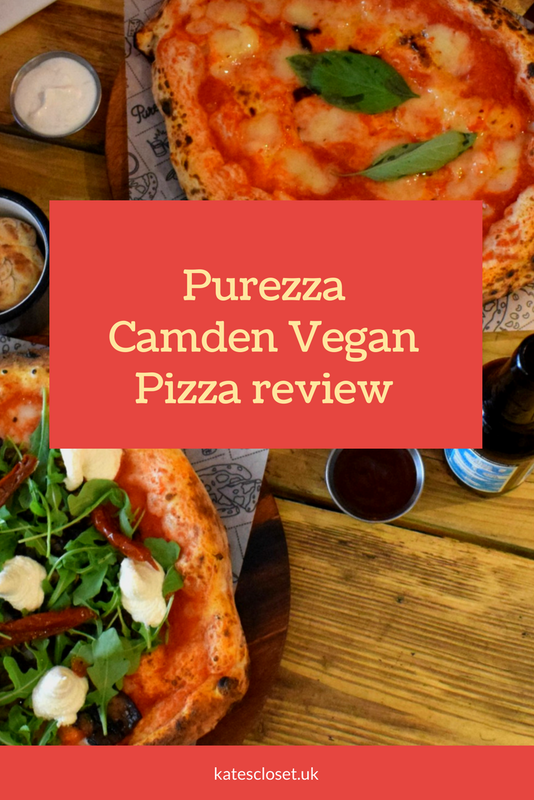 Purezza Camden is conveniently located 2 minutes from Camden town tube station or about 7 minutes from Camden road overground. We arrived via overground from Stratford, we park our car in Westfield shopping centre it's a bargain £5 to park all day. The restaurant itself is gorgeous and in the summer they open the front up, making it feel like you are in Europe on holiday. 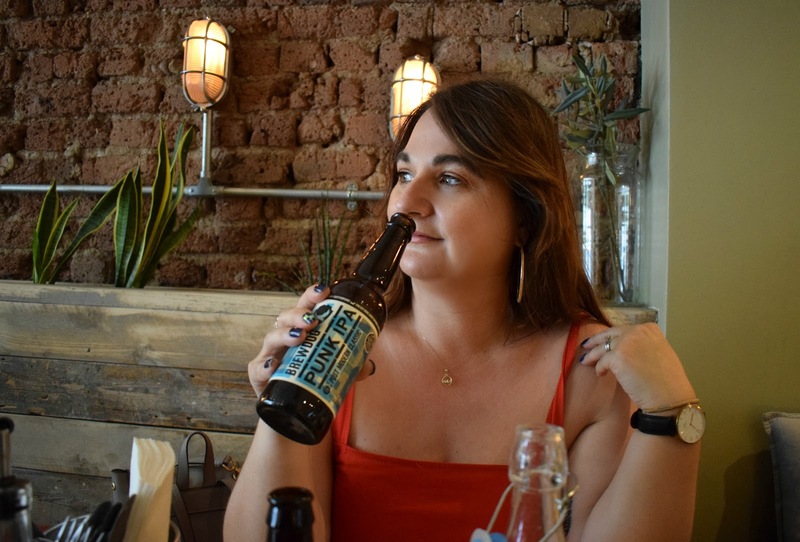 The decor is industrial and modern, the staff attentive, friendly and helpful, and there was a good choice of starters, sides, main, desserts and drinks. 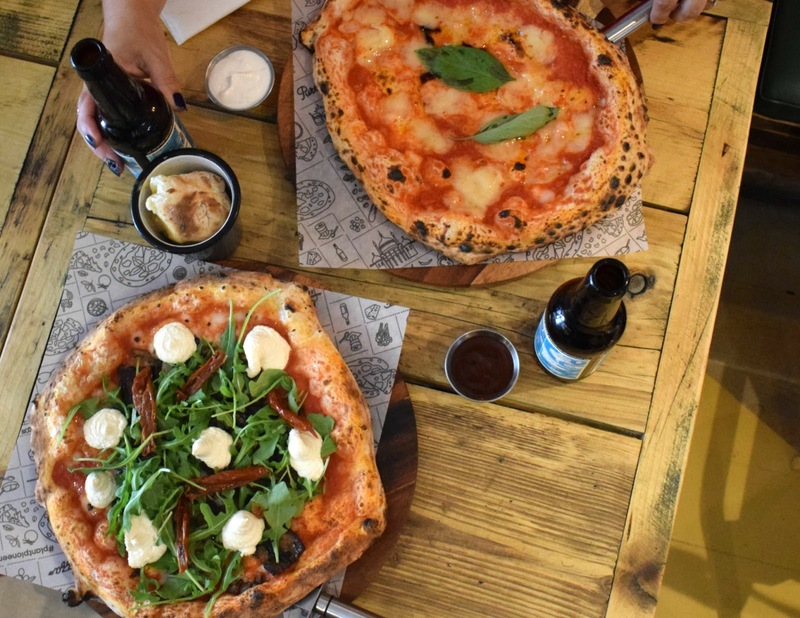 We opted for a beer, some " cheese " dough balls to share, I the had Margherita and my husband had the Portobello road pizza. The Margherita simply made all my cheesy pizza dreams come true, the base was light in the middle with a puffy crust, and the "Mozzarella" was creamy and delicious, I dunno how they make it, by my God it's good. The husband had the Portobello road pizza, which is topped with mushrooms, sundried tomatoes, rocket and ricotta type "cheese". 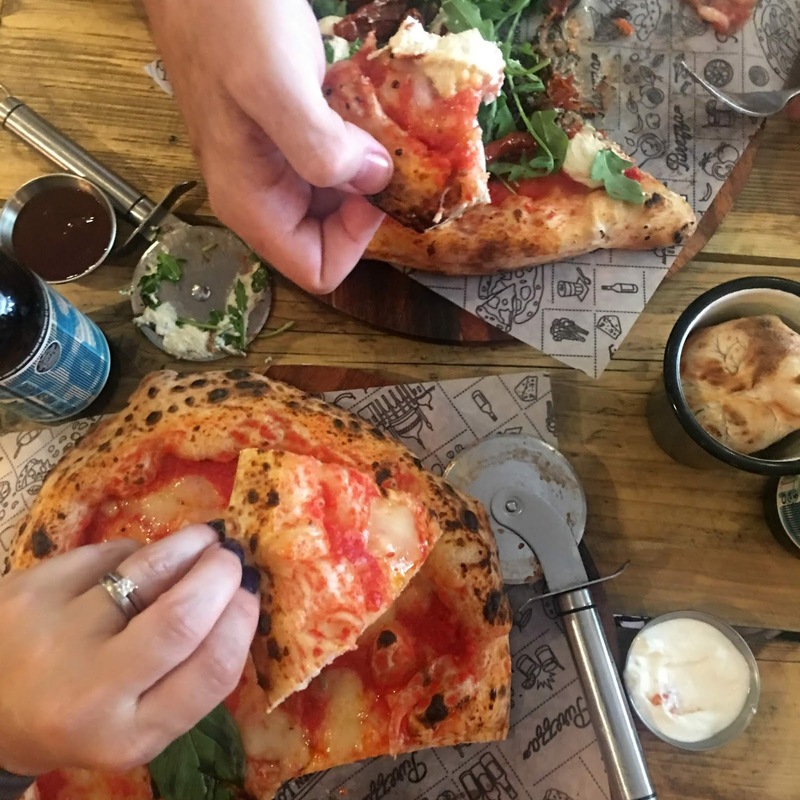 He has never eaten anything using Vegan products instead of dairy and he loved it, and just couldn't get over how cheesy the pizza was, as for the dough balls they are pure cheese heaven and a delight to our taste buds. I cannot report on the desserts as we were just to full, unfortunately to try, but the Orea pizza, has my name on it for next time. 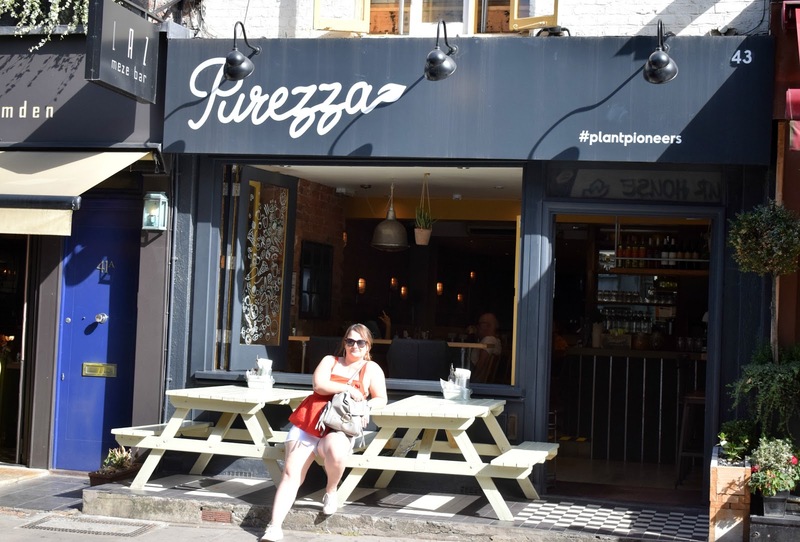 You can find more details about Purezza here , including the locations and the all important menu. This looks amazing! 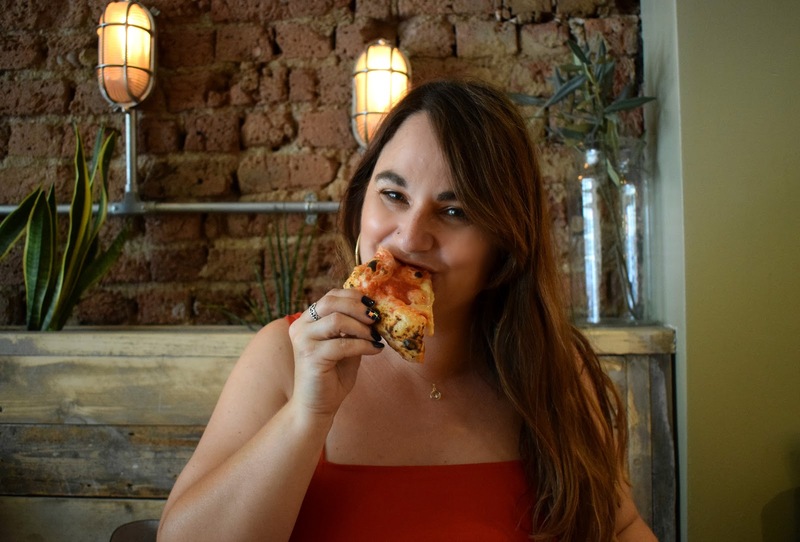 Next time I'm in London I'll definitely pay them a visit, I have a dairy allergy but always loved pizza. It's hard to find a decent dairy free option.